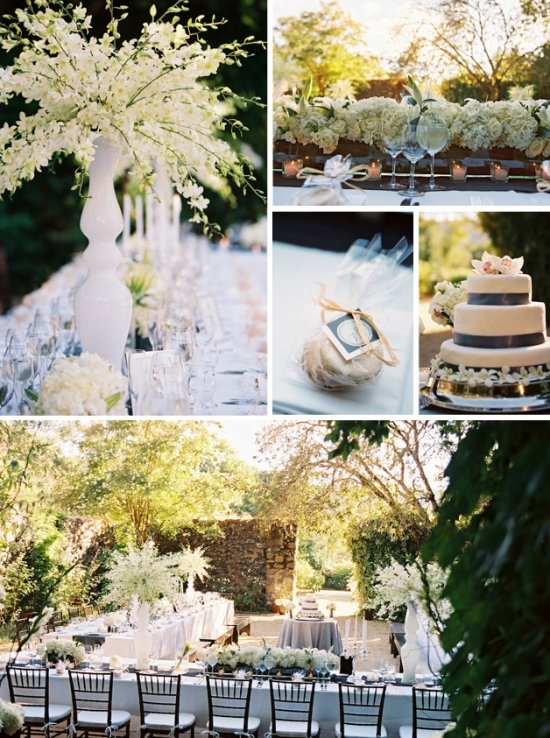 Annadel Estate Winery is a boutique winery, but as a wedding venue, it is ideal. Casual elegance is the perfect theme for a wedding at Annadel, and the wondrous grounds provide the ideal flow for a wedding celebration. The original winery ruins from 1886 still exist and create a one-of-a-kind experience for your ceremony. The stone masonry walls are covered with floral vines, making the backdrop stunning for a couture wedding album and the topic of lasting conversation all night long. Set the stage with chiavari chairs and you'll feel indulged in both history and sophistication. Surrounding the historic ruins is an abundance of lush gardens. The collection of heirloom roses perfumes your reception with a sweet fragrance that your guests won't soon forget. Photos taken in front of the distressed barn will create lasting memories allowing you to reconnect with your family and friends. I am not sure if it is the never-ending ocean of Cabernet grapes or possibly the mystique of the ruins; whatever the reason, there is something deeply romantic and intimate about having a celebration at Annadel Estate Winery.